A new system for reviewing posts that require moderation is now live here at Android Enthusiasts. For details, please see the post on Meta Stack Overflow. It's important to note that this is not (necessarily) a tool for Community Moderators. It's a tool to help the Community moderate itself. Please check it out and lend a hand. This is a new and interesting feature that allows users to spend less effort while doing their part to this community network. The new feature, as any other feature comes with potential bad habits that one may get caught in without noticing. Is there an actual “accept ALL the suggested edits” problem? 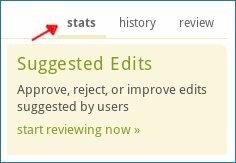 One interesting part of the new review is that we are able to view who's the top reviewer, what position are we in, and even compare decisions by looking at the review history. This serves the purpose of providing users a way to improve themselves and refrain from committing mistakes, by learning with others. It is not the Olympic Games, there's no fat payment for the first place, so, don't go voting just because! Vote and review always with the community shirt on. One may get addicted, and as any addiction, there are side effects. If you're tired of seeing what you consider bad answers or bad questions, take a break from review, use the chat to exchange ideas, post a question at META to clarify you point of view. Remember the famous: Could we please be a bit nicer to new users? Don't spend your precious time reviewing just to feel tired and saturated. I'm answering this as to illustrate some of the frequent problems I see on the several SE sites, being discussed on META, and even some that I've personally experienced and/or have been confronted by. Feel free to improve it. Converting Zuul's "clicker happy" to "trigger happy", I'd like to see the old system available even when the last queue was converted, as I already explained with a post on meta (Is there a way to access the older review tools for processing the edit queue?). While feeling comfortable with the new system when it comes to close-votes, I prefer the old system for some of the others: There I can pick the questions I feel I can do something about, leaving the others completely untouched (so I can even return to them later, which is not possible with the new system). As it stands now, I rarely touch the edit queue unless I'm really bored because I don't want to have to wade through a ton of questions that I can't necessarily help with.